Bay window, window formed as the exterior expression of a bay within a structure, a bay in this context being an interior recess made by the outward projection of a wall. The purpose of a bay window is to admit more light than would a window flush with the wall line. 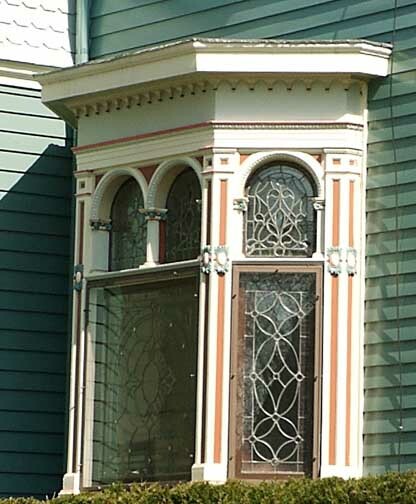 A bay window may be rectangular, polygonal, or arc-shaped [rounded]. If the last, it may be called a bow window. There has been a continuing confusion between bay and bow windows. 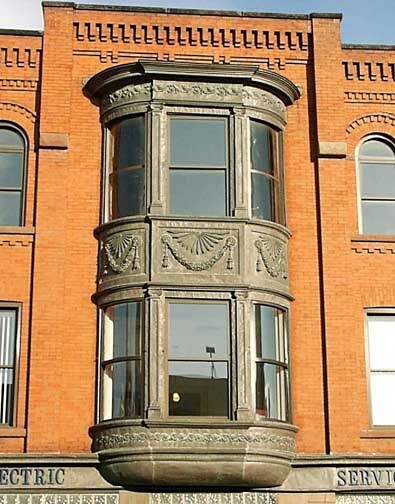 Bay window is the older term and has become the generic form. 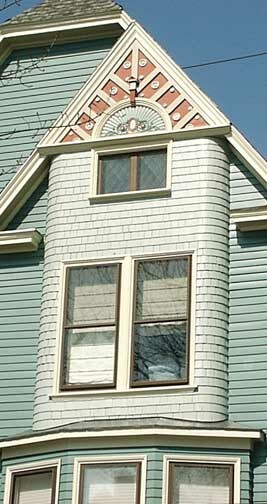 A bay window is also called an oriel, or oriel window, when it projects from an upper story and is supported by corbels. 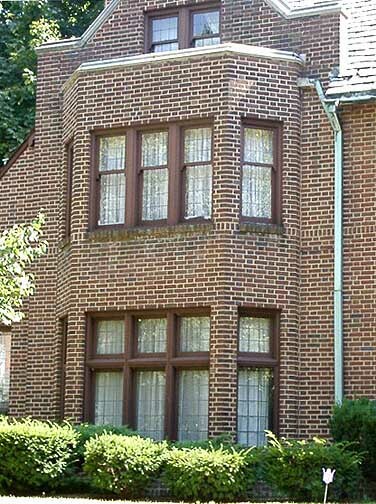 Bay windows are associated historically with mansions of the early English Renaissance. They are characteristically employed at the end of a great hall opposite the entrance and behind the raised dais on which the lord of the manor was served. 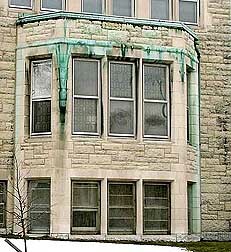 In modern architecture the bay window emerged as a prominent feature of the Chicago School.